THIS PLACE WILL BE ABOUT REVIEWS OF MAKEUP THAT I USE AS A FREELANCE MAKEUP ARTIST, MOVIES I SEE, AND THE MAYHEM I WITNESS, LOL. THIS WILL SIMPLY BE A PLACE OF FUN & REFLECTION. I'M HOPING THAT YOU WILL LAUGH AND LEARN A LITTLE BIT MORE FROM MY BLOGS. PLEASE REMEMBER THAT THE POSTS HERE ARE JUST MY OPINION AND THE WAY I MIGHT VIEW THE WORLD. We are living in a fast paced, we want it now world. People want things without the hardwork of looking or working. Google can and will have information at your fingertips quickly. It's understandable that sometimes we have an excellent idea but don't quite know how to begin to search for it or may not know the exact wording to get the results that you are looking for. Some good old fashion Brainstorming. Just thinking of the right keywords can better assist you with your search. Be specific in what you want to search for. Save articles from magazines that are informative, you never know when you may need it. I always look at my Crystal Wright Guide, which is also available for download: http://www.makeuphairandstyling.com/#!hair--makeup-guide/c1l6a She also has other great products and workshops available to assist you in your journey as a Makeup Artist. Hair Stylist, Fashion Stylist, and Nail Artist. If you're looking for Production Companies, Producers, and other decision makers you can look at LA411, NY411 and get listed with your City & State's Film Commission. Get listed in your State's Entertainment Sourcebook. Subscribe to Production Weekly, The Mercury Report, USA Production News and Variety. ProductionHUB is a website where you can be listed, find and search other crew members and companies. YouTube is a great free source and tool to use, but not everyone is a professional. And that's not to say that you cannot learn from a newcomer or someone who doesn't have training, that's not what I'm saying. Some of our best teachers and admirers of the industry didn't go to school but they do generate an income and living. As Artists' we can go out and spend money on the newest hot product but sometimes will think investing in the knowledge on a monthly or yearly basis is too expensive. Here are some other outlets that can teach you and inform you of business, networking and techniques. Greene Street Beauty Kim Greene & Melissa Street offer a 1-on-1 mentoring service through the comfort from your computer via Skype or iChat. (I've done this, and they were a big help. I will definitely be using them again.) They can also teach you a technique and go step-by-step to help you achieve success. They also have a Face Chart app that was launched last year for the iPhone and iPad. Hair & Makeup Artist Network Michelle Lee created this great networking website with a TON of information and services that serve the working artist. Networking events, Self Promotion, Career Tools, and Legal Resources are just few things that are offered. There is also an education section which has a virtual classroom, that allows you view videos from some of the Top Artists, Agents from Top Agencies, interviews with different working Artists. It's truly an informative place to be apart of. There is a membership fee $159 per year but you can create a free profile but there are premium benefits that you won't be able to use. It's worth it. Stan Winston School Offers new videos every month with an unlimited views. This would be more for Special Effects Artists BUT they have do have content that can have an added benefit to your resume. They have a free 3-day trial but also have 4 different paid subscription options. Lynda This site is AMAZING! You can learn so much from Photoshop, Excel, ZBrush, and many more. I believe anything computer related, you are able to learn. They have 4 different paid membership options. These are just a couple of things that I use on a monthly basis to keep myself sharp, knowledgable, and educated. I hope some of this information will help some of you who are either stuck, or just need some new information. Wow, where did the time go? 2013 was interesting, but that's in the past and I'm looking forward to this new and bright year. I'm not huge on resolutions but I will be blogging again and making a consistent effort to bring new and useful information to those of you have continued to stay. I will be talking about makeup in all forms, and reviewing films, as well as the mayhem of the world. I'm looking forward to bringing you renewed inspiration, uplifting you, and making you laugh. 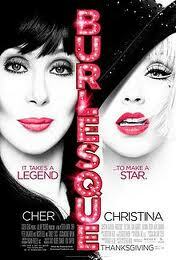 I was watching the movie Burlesque that stars Cher, Christina Aguilera, and Kristen Bell. In short, I always loved the part when Kristen Bell’s character gets upset because she was asked to leave and Cher chooses to put Christina’s character on instead. Kristen’s character was the headliner at the club and would at times treat Christina badly or say snide things about her. It never dawned on her that she could and would be completely surpassed by Christina’s talent. Watching the film, got me started thinking about Makeup Artists. There are so many great artists out there who are so giving of themselves and who make time to reach out to fellow makeup artists. You never know whom you will meet or whom they may know. Common decency and consideration should always be at the forefront. That artist who you may feel is a nobody, could possibly give you a job one day or refer you for something that is amazing! Never seem, appear, or act as if you’re too busy to respond to an email, text, message on Facebook/Twitter, say hello, or thank you. Of course, there are exceptions but the point I'm trying to make is it doesn't take a week to acknowledge someone. If someone takes the time out of their life busy or not, to pay you a compliment, it doesn’t cost a thing to say thank you or makes you seem any less for doing so. Because it goes a long way, people will always remember how you treated them and how unimportant you made them feel. I suppose real life has been “trying” to knock me down but instead of giving in to the worry, sadness, and fear I gave in to the Lord. I dove in head first, and everything took a backseat. I thought I had a personal relationship with God before and I can say I truly did to a certain point but it has been nothing like what I’ve been experiencing these past few months. I’m learning that sometimes God wants you to stand still in order for HIM to minister to you the way HE needs and wants to. There are things that God has and wants for you but just because something is yours from God doesn’t mean the timing is right. All things work out for the will of God and HIS glory, the good and the bad to get you into the place where God wants you to be. When things go wrong, they are still going right. The more hell you go through, the more honey God has for you. I hope this helps some of you who are having a difficult time or just need a little pick me up for the day! It wasn't until I took coaching lessons with Ungenita Prevost www.thebilliondollarbeauty.com, that I realized in my down time I was doing something she called "busy work." Which meant that I wasn't being as productive as I should have been. Instead of me looking at things on the internet to further my knowledge or create new business relationships, I was surfing through mindless information and checking my email all the time to see if I had any "new" opportunities. But I have to admit, I wasn't putting in enough hard work but expecting a huge payoff. When you receive clarity about what it is that you want to do, things become a little easier. You can begin to take the necessary steps to breakdown the goals you need to complete in order to reach whatever it is that you would like to accomplish. If you have a business that you're serious about, start conducting yourself in a manner on social networking sites that mirror your passion for your work. How are potential clients suppose to take you serious? Whatever you're writing on your blogs, Facebook, Twitter and other networking sites, says something about how you run your business and conduct yourself. It's no longer just about posting your thoughts if you have a real business. Reaching out to potential clients that you would like to work with. Post information that is both helpful and uplifting. If you have a blog, write out several topics/posts ahead of time and schedule them to be posted on a certain date, so you're not cramming to get it done when you are busy. YouTube isn't about just learning a new technique but there are a lot of videos that deal with Business, Marketing, Networking, & Social Media. Become better in an area of your craft (research & practicing). 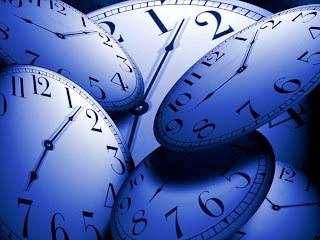 Try this website http://executivesummarybusinessplan.com/ and create your business plan. Read materials that deal with networking and growing your business. There's a website called www.websitegrader.com that allows you to see how you compare to your competition. They also have tons of information and ebooks for you to download and share. If you stay prepared you won't have to get prepared! 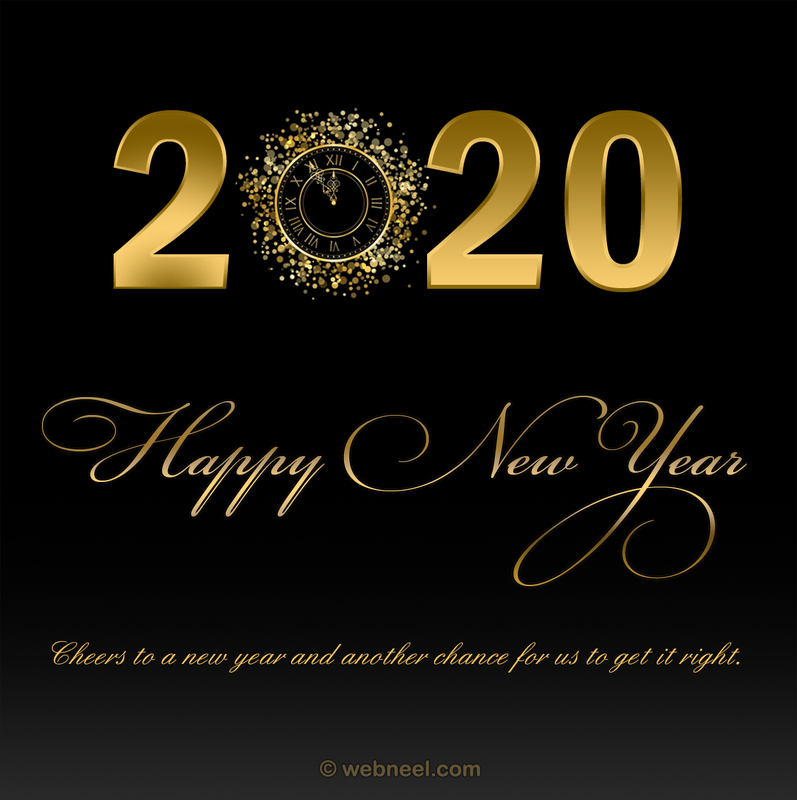 Happy New Year & don't forget to make this year count for something extraordinary! Are you driving your Market down? One day last week or maybe the week before that, I was viewing my Twitter timeline and I saw a couple of "Artists" promoting their business. I have no issue with that, because that's how a lot of Artists are getting jobs and I believe it's a great avenue when done correctly. What startled me, was the what they were advertising. Some were advertising their Makeup services for $30-$40 per face, some included lashes within that price. The MAC counter charges $50 and that's not including lashes. If you are a freelancer, your prices should be above that. Don't get me wrong, yes we all had to start off somewhere but times are different and so many things have evolved. You should know the market that you are in and what other Artists are charging and keep in mind your experience, when you are setting down a rate for your services. There will be Artists that won't have a problem telling you what their rate is and others may not be comfortable but it's worth the effort to do the work. You do not want to be the one Artist in your market that is viewed as a bringing the market down because of your pricing. If you want to have specials, awesome but do not bring the rate so far down. You should at least be factoring in your gas and a tip for yourself within your rate. If they're coming to you factor in electricity, lol but you get the point. If you feel that your work is not where it should be in order for you to charge around the rate of what others in your market are charging, then try to work on your craft by volunteering to do those jobs that may not be paying but you are getting experience or assist other Make-up Artists. You can learn so much just by assisting but I have to say that nothing really compares when you are working alone and you're in a situation where you don't have help and you just have to make it "work." This post isn't to be malicious but it was done to bring awareness. When you are aware of something, you are able to change it. So ask yourself: Am I driving down my Market? Film and Fashion are like apples and oranges. Both inspire women to try something different within their lives and normal makeup routine. But when they collide it's pure magic. But for some strange reason there seems to be some kind of division or some type of "feeling" among Film and Print Make-up Artists'. Of course, this doesn't apply to all artists'. When I talk to other Make-up Artists and tell them that I'm a Film & T.V. Make-up Artist I get mixed responses. Half are wonderful responses and the other half seem to respond in a way that may leave me feeling like what I do isn't as prestigious as doing Fashion. I've heard, "Oh, I couldn't do film I would be too bored" or they mention something about the craft services or "I couldn't do the same/boring look every day." I'm sure I'm missing some but you get the point. Film & T.V. Artists may not set the new trends via the runway but they do make a huge contribution to society and everyday women. It was Alberto De Rossi who created Elizabeth Taylor's famous Cleopatra look, which some say was the source of the famous "Twiggy" look. Marilyn Monroe, Lucille Ball, Audrey Hepburn, and this list also includes the famous Beauties of Old Hollywood like Clara Bow, Joan Crawford, Bette Davis, and many more but all of their looks have shaped the way that Fashion & Print Make-up Artists do makeup. The point of this particular post is to shed a little light and awareness that being a Film & T.V. Make-up Artist is just as fabulous as being a Fashion & Print Make-up Artist. Both sides have their own special set of pros and cons, but neither are superior to the other. I believe that we all are hard-working ROCKSTARS!!! It's not just the famous Special Effects Artsits' that you can learn from, the other artists' have something to offer as well. It doesn't matter what road you choose to go down, there are creative and innovative artists on both sides that inspire each other and the world. I've been a Professional Makeup Artist for over 10 years. My speciality is Makeup Magic for the Movie Industry. I have worked for Mercedes-Benz Fashion Week in Miami & New York. I've also worked with The Powder Group & The Makeup Show! Desiree' Stovall. Awesome Inc. theme. Powered by Blogger.